The universal programmable Battery Guard (BG) prevents the excessive discharge of the battery (which would damage the battery) and protects electronic appliances against overvoltage. The BG200 battery guard has an “Automatic Board System Detection”; the BG automatically detects the battery voltage (12 or 24V). 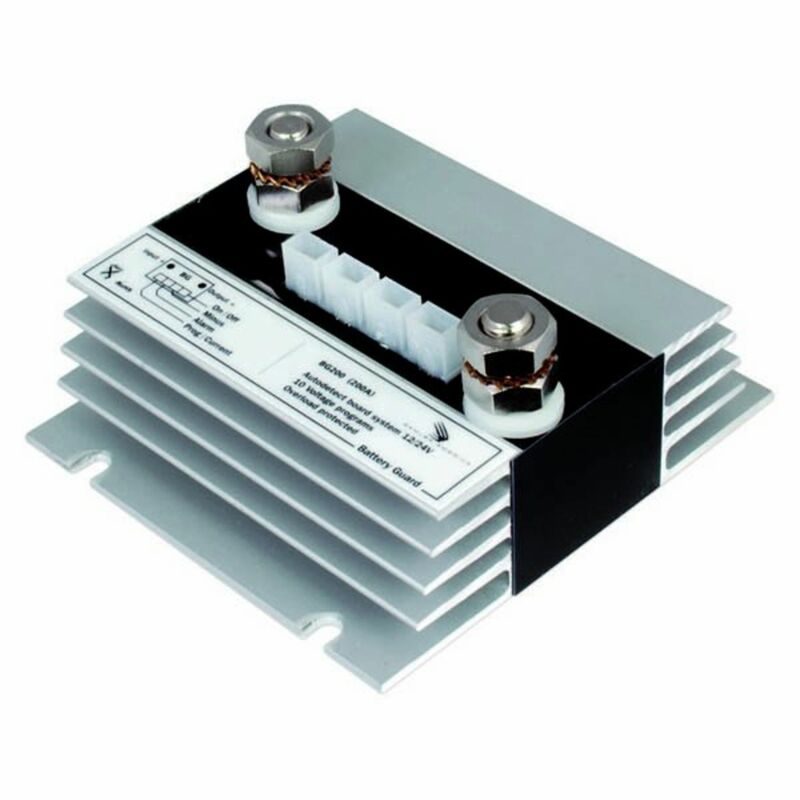 The BG200 battery guard is capable of carrying 200A continuous load and 210A transient load. There is a choice out of 10 on/off threshold voltage programs, for both 12V and 24V battery systems, which can be easily programmed. Do you own the BG-200? Please, tell us what you think about it. It helps us provide you with better products. Please note that it may take up to 72 hours for your review to appear.